What is the outlook for real estate after the first 100 days of the new Trump administration? How will real estate markets be affected, and more specifically, how will funding for new housing and infrastructure be impacted? 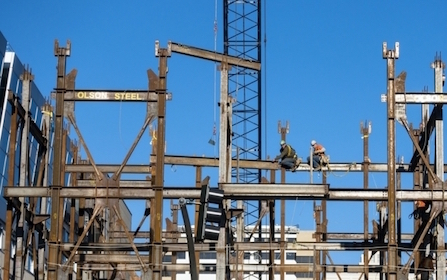 The 22nd Annual Fisher Center Real Estate Conference addressed these critical issues and others facing the real estate and development community on May 8 at the Hotel Nikko in San Francisco. The topic-driven annual spring conference of the Fisher Center for Real Estate & Urban Economics (FCREUE) assembled an exceptional group of leaders and experienced development professionals who discussed the challenging complexities of today’s real estate markets. Included in the conference lineup was “The President’s First Hundred Days: Real Estate Impacts & the Emerging Policy Environment”. Moderated by Libby Seifel, session speakers Douglas Abbey (Chairman at Swift Real Estate Partners), Ben Metcalf (Director of California Department of Housing and Community Development) and Mike Novogradac (Partner at Novogradac & Company LLP) led the audience through an engaging discussion of how changing national policies and Federal budget priorities could impact housing and the broader real estate climate in California and across the nation.